Home / Club Z! Tutoring / What is FAFSA and Why Do I Need to Know? What is FAFSA and Why Do I Need to Know? No matter how you look at it, college is an expensive proposition these days. Both public and private colleges and universities have had to raise fees and tuition as costs have increased. As a result, college student debt has skyrocketed and many students end up with loan payments years, sometimes even decades, after graduation. But with some careful planning and creative thinking, there are lots of other ways to help pay for college and avoid being stuck with big loan payments after graduation. One final but important step in the college application process is to include an application for financial aid. Many schools offer assistance through a single application process called Free Application for Federal Student Aid (FAFSA). FAFSA is the best way to receive offers of scholarships, grants and low cost student loans from the schools you would like to attend. This online, one-source application not only makes you eligible for federal student aid, like Pell Grants, but is required for a lot of state and college-administered aid programs as well, so this is a very important step. FAFSA applications must be submitted according to the published federal deadline, and many state departments of education provide financial assistance according to a deadline date as well, so it’s important to know your deadline dates! In addition, some schools might have financial aid policies that require you to submit other forms, so be sure to check with them for exact information on how to apply. If you’ll be applying for student loans, make sure you thoroughly go over all of the options available before deciding on one. When Should I File FAFSA? It is generally recommended that you start the FAFSA application in the Fall of your senior year of high school. This will allow ample time to meet state deadlines, which are often in late fall and early spring. You will need to file your FAFSA in the calendar year you will start college (no earlier than January 1 of that year), but you should file as early as you can, since a lot of student aid money is awarded on a first-come-first-served basis, and the best programs run out first. You’ll need your parents’ income and tax information, so make sure they’re aware you’ll need their help. If you need additional help with filing your FAFSA, make an appointment with your school guidance counselor. Not completing the FAFSA because it is too difficult, or you’re sure you won’t qualify for student aid. Remember – the FAFSA not only determines federal grant awards, but also work-study opportunities, scholarships, and other available grant opportunities. Not setting up your FSA ID. You will need to establish a username and password to access the FAFSA web site, and complete your FAFSA application. In order to obtain this username and password (referred to as your FSA ID) you and your parent (for dependent students) will need to file online at https://studentaid.ed.gov/sa/fafsa/filling-out/fsaid. Listing only one college because you’re concerned about colleges knowing which schools you’ve applied to for admissions. Colleges cannot see which schools you listed on the FAFSA, so enter as many as you are applying to, so you can be assured that your financial aid award package is applied to the appropriate school come decision time. Inputting incorrect information or leaving information off entirely. 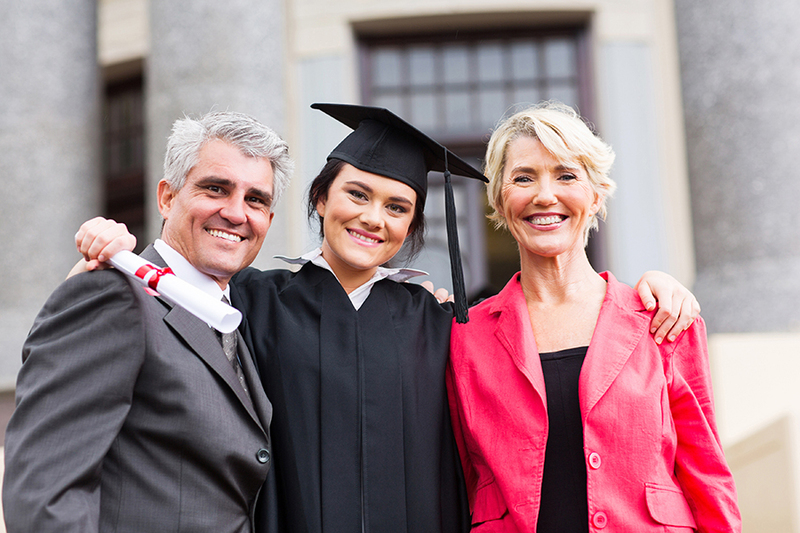 Believe it or not, students often enter in nicknames instead of their given name as printed on their Social Security Card; students forget to sign the FAFSA; students don’t list their parental information; students don’t read the directions carefully enough and list the wrong tax information or dependent details. Be sure to read everything carefully, and double check your entries before you submit the application for review. Taking AP classes to earn college credits now, and reduce your college tuition costs. Preparing seriously and early for your college entrance exams. Take the PSAT, SAT and/or ACT more than once to get the very best score you can so you’ll be better able to compete for grants and scholarships. Summer is a great time to start preparing for the SAT and ACT – Club Z! has affordable, online test prep classes forming now! Get a summer job and save all the money toward your first year living expenses. If you’re interested in the military, participate in ROTC which offers college scholarships for ROTC members. Set aside serious time to seek out and apply for scholarships. There are many places to find scholarships and grants, such as through your high school, your prospective college and through online search tools. In addition, if you have volunteered with local community groups or at church, ask your local leadership whether the organization might have scholarship or grant opportunities. Many service and religious organizations have foundations that provide help to students who qualify. There are so many new and exciting challenges that college brings – securing financial aid doesn’t have to be one of them. Start early, make sure your information is accurate and complete, and you will be on your way to financing college in no time.